The New Hiti P310W Dye Sublimation Photo Printer focus on the pursuit of the color aesthetic. This 4"x6" Wireless Photo Printer is the best choice for small to mid demand printing needs of photographers and studios. It supports localizing ID format and customizing photo frames. Portable, light-weight and up to 30% faster with more convenient and cost-effective. Wireless Printing provide a user-friendly operation experience. Powerful App & Software, unique Prinbiz and IDQuickDesiree software give your customers value-added, creative service. 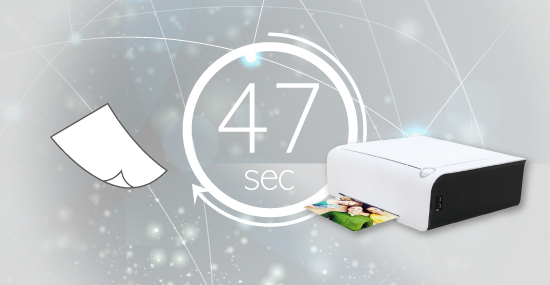 The compact and modern design body shape 4" x 6" photo printer which weighs less than 1kg provides simple operation and takes only 47s per print. Further, it's 60 print per ribbon cassette increases up to 30% uptime. 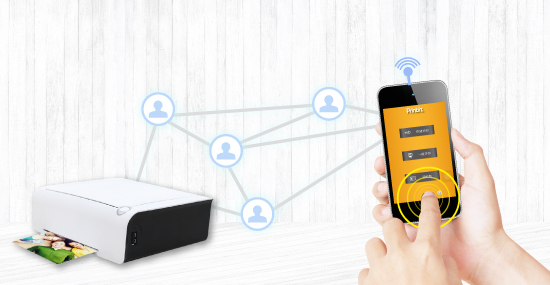 P310W supporting wireless connectivity and diverse storage devices such as memory cards, USB flash drive, is faster and more convenient to share with multi-users and enables users to print through their own storage media and wireless transmission. P310W enables users to add the customized photo frame into Prinbiz App via SD card for value-added holiday or event prints anywhere. Bundled software-IDQuickDesiree offers users a total solution for various ID photo printing. You can localized ID formats varying from region to region with referential biometric lines or choose a wide range variety of embeded formats. P310W gives you unbeatable flexibility in ID format designs to satisfy the ID photo market worldwide. It's flexibility enhance freelancers to elaborate their own creativity to keep every beautiful memory. from our Foto Club store - Our recommended Kiosk replacement is the DNP SnapLab Kiosk.